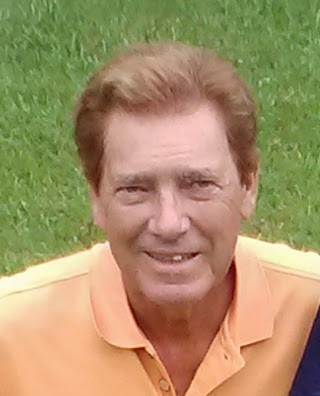 Theodore Robert “Bob” Willoughby, 77, of Taneytown, MD, died peacefully on Thursday, November 1, 2018 at Westminster Healthcare Center in Westminster, MD. Born February 22, 1941 in Brandywine, MD, he was the son of the late Theodore Roosevelt Willoughby and the late Maude Magdalene (Curtin) Willoughby. Bob was an electrical engineer. He worked for PEPCO of Washington, D.C. for 35 years. 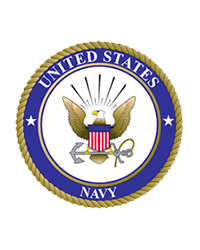 He was a proud veteran of the United States Navy and was a member of Hesson Snider American Legion Post 120 in Taneytown and the AMVETS in Middletown, MD. Bob was an avid golfer and upon retiring from PEPCO, obtained his PGA license. He then gave golf lessons and worked at several local golf courses. He enjoyed playing guitar, hunting, fishing and camping. He also enjoyed bluegrass and country dancing. Surviving are his sons, Troy Willoughby and wife Samantha of Winchester, VA, and David Willoughby and wife Jenny of Braddock Heights, MD; siblings, Patricia Hall of FL, Lorraine Berman of MD, Rita Vaughn of OH, John “Donnie” Willoughby of FL, George Willoughby of MD, Henrietta “Diane” Norton of FL, Elizabeth Angela “Betty” Hall of FL, and Charles “Charlie” Willoughby of FL ; grandsons, Teagen and Tanner; and numerous nieces and nephews. He is also remembered by his long-time partner and friend, Marian Abbott of Taneytown. Bob was predeceased by sisters, Delores Snyder and Pauline Gilliam; and brother, Joseph Arthur Willoughby. A memorial service to celebrate Bob’s life will be held at 11 a.m. on Friday, November 9, 2018 at MYERS-DURBORAW FUNERAL HOME, 136 E. Baltimore St., Taneytown, MD. The family will receive friends from 10 a.m. until the time of the service at the funeral home.